Fresh food packaging manufacturer, LINPAC, has successfully demonstrated it is meeting the national customer service standard as set out by the Institute of Customer Service (ICS) by retaining its ICS ServiceMark accreditation. LINPAC holds a unique position as the only manufacturing operation in the UK to have been awarded the accreditation. 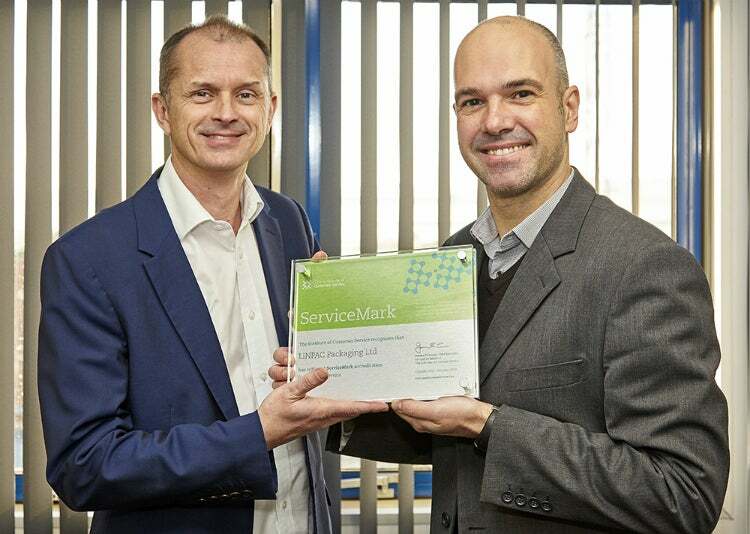 The company will keep its ServiceMark status for a further three years, following a score of more than 70% in its ICS assessment. The company was ‘strongly recommended’ for its ICS ServiceMark accreditation when assessed against a wide range of service elements, including; capability, consistency, quality and efficiency. Louise Glover, UK commercial manager, at LINPAC, commented: "We’re extremely pleased with this result. In particular, the marked improvement between audits demonstrates that we’ve focused on the right things to help raise our score and better serve our customers." "I’d also like to acknowledge the number of people throughout the business who contributed to the accreditation by sharing their experiences with the ICS assessor. It’s a fantastic reflection on our LINPAC workplace culture that so many employees were proud to volunteer their stories. The aim now is to build on our success to achieve an even better rating in three years’ time." LINPAC has more than 40 years’ experience in delivering innovative efficient packaging solutions. To find out more about the company’s products, use the enquiry form on this page.